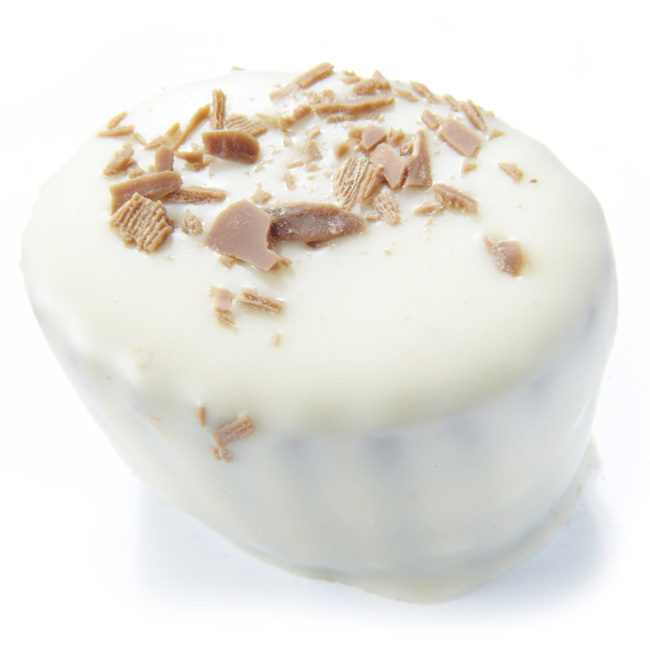 White chocolate enrobed around a layer of dark chocolate, filled with soft marc de champagne flavoured almond marzipan. Milk, Soya, Nuts (almonds). May also contain traces of Gluten.